The good news for Suzanne, a 61-year-old mother who had recently been discharged from the hospital, was that she was on almost a dozen waitlists for senior and affordable housing in the county. The bad news was some waitlists were years long, and Suzanne was unsure what she would do. Suzanne had been forced to move into a motel after her daughter moved out of their house, and ran out of money after eight months of paying the steep prices of a long-term motel stay. Her health issues worsened due to living in her car, and she ended up hospitalized. When Suzanne was strong enough, Dominican Hospital discharged her to the skilled nursing facility, Hearts and Hands, and from there she was referred to the Recuperative Care Center at Homeless Services Center on the Coral Street campus. She recovered enough to move on from the RCC and then went to the River Street Shelter, run by Encompass Community Services. “Now that I had a fixed income, everything started moving towards housing,” she recalls. While there, she received the news that her name had come up on the waiting list for Saint Stephen’s Senior Apartments, a newly developed affordable housing complex for senior citizens. 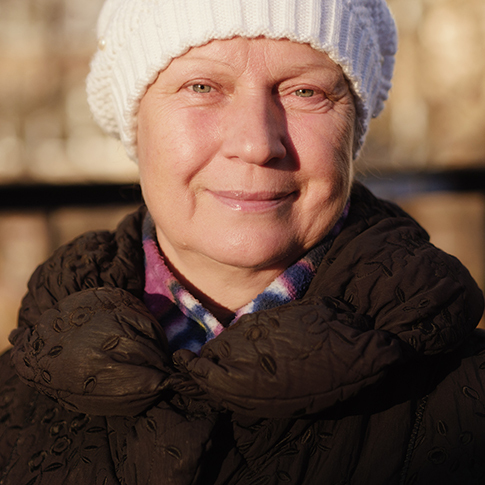 Before she knew it, Suzanne secured her spot and she moved from River Street Shelter to Saint Stephens into her own apartment, a place where she feels safe, healthy, and warm.